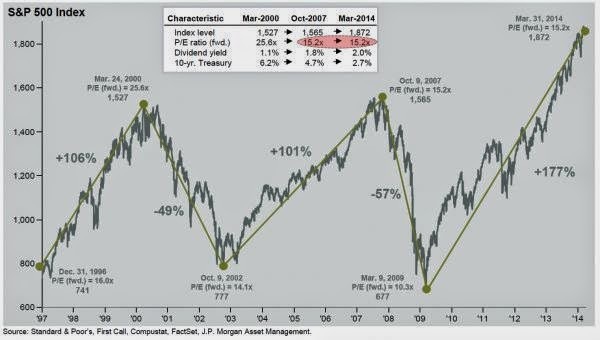 According to this chart from JPM the market's forward P/E ratio now is precisely 15.2x. What was it at precisely the last bubble peak on October 9, 2007? 15.2x.